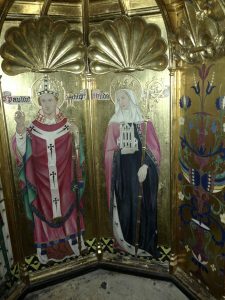 In 627 Paulinus baptized Edwin, King of Northumbria and his family, including his 13-year-old niece Hild, into the Christian faith. This picture, located on the baptismal font at York Minster, shows Paulinus with Hild on his left. The church she holds is what became known as Whitby Abbey. 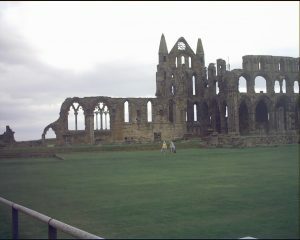 Hild founded a double monastery on the cliffs of what is now Whitby. In the seventh century, it was called Streanaschalch and probably consisted of structures made of daub, wattle, and wood. The ruins present today that inspired the structure held by the artist’s figure was built by the Benedictines in the 11th century. Unlike most seventh century women, Hild is still known as a patroness of education for women, and remembered by historians as the abbess who presided over an important synod in 664. What, I wonder, can Hild tell us about the challenges faced by women in the seventh century? 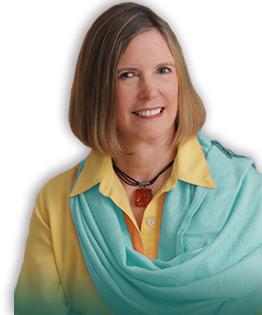 What impact did Hild have on the world around her? What were her struggles and triumphs? I hope to have some answers by 2020.